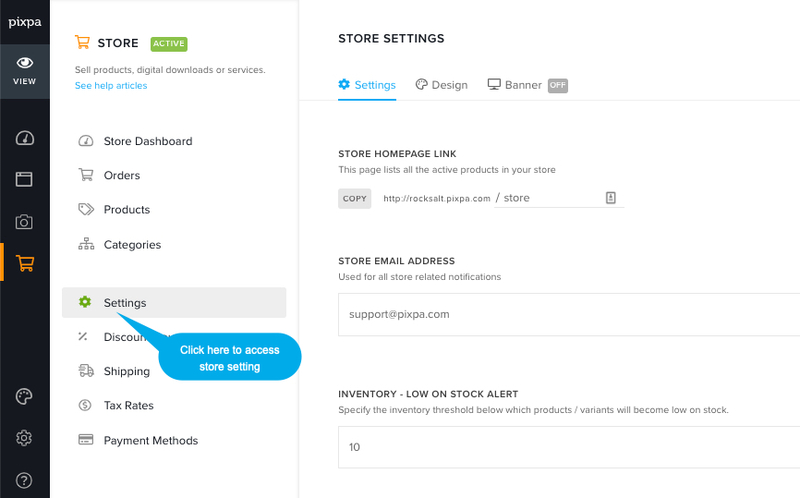 Once you have added Store in your website, the first thing to dive into is the Store Settings page. 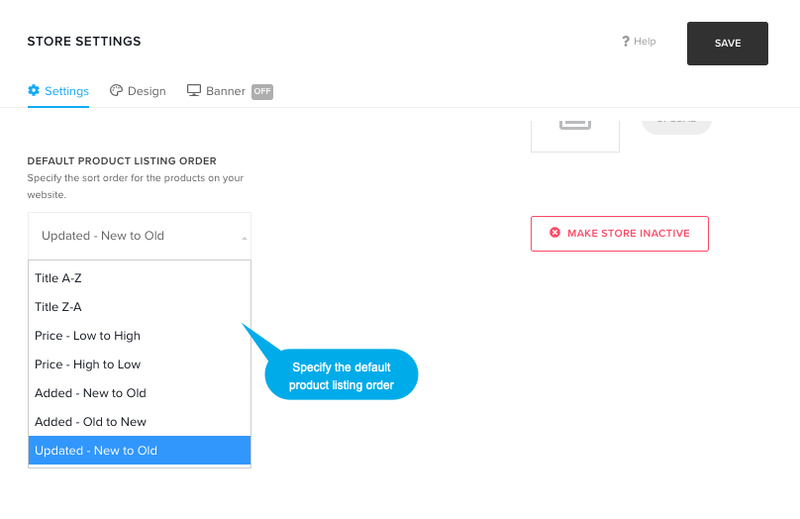 The Store Settings page lets you control many aspects of your online store. In the next step, you would see all the available settings option of store. Store Homepage Link – This page lists all the active products in your store. This is the store’s slug. Your store will be live at /store by default. You can easily change it if you want to from here like /shop or /boutique etc. Store Email Address – Used for all store related notifications. Invoices and emails for orders will include this email address. Typically it would be your registered account email ID. You can easily change it if you want to send order related information to some other email ID. Inventory – Low on stock alert – Specify the inventory threshold below which products / variants will become low on stock. Alert icon would reflect in your products page. Default product listing order – Specify the sort order for the products on your website. Cart Icon Style – Style options for floating cart icon. Know more. Color Scheme – Choose the color scheme for the floating cart icon that would be used on your website – Light or Dark. Cart Icon Position – Choose the position of the floating cart Icon that will show up on your website whenever anyone adds items to the cart. Cart Icon Visibility – Choose the behaviour of the floating cart Icon. Always visible or Visible only when someone added item/items in cart. 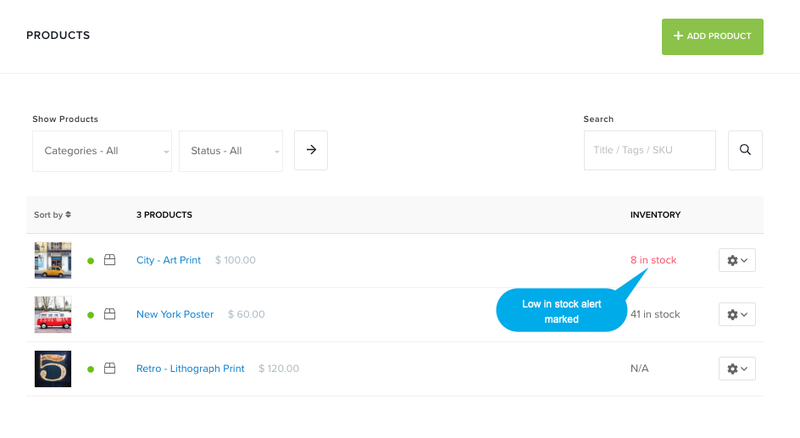 Order confirmation page message – This will be shown on the order confirmation page. Know more. Order confirmation email message – This will be included in the new order confirmation email. SEO Data – Specify SEO meta data for the store. It will over-ride site’s main SEO data, specified in website settings section. Know more. Abandoned Carts recovery Email – Best way to recover abandoned carts is to set up an automatic email for customers, asking them to return to complete their order. If your store visitor abandons their order, send them an email reminder to complete their order. This functionality is available on Plus plan only. Featured Image – Used to represent this store in folders and for social media sharing. See help article. Make Store Inactive – You can disable the your store completely. All your products, category links will be not found (404) after disabling the store. No one can checkout after that. Design – Choose the layout of your product listing page and product detail page from here. Banner – Used to show a full-width banner on the top or bottom of the gallery. Know more. Do not forget to set your store Timezone. Click here to see how. Click here to see how to Enable / Disable store. Click here to manage time zone, base country and currency. Click here to set tax rates for your store.